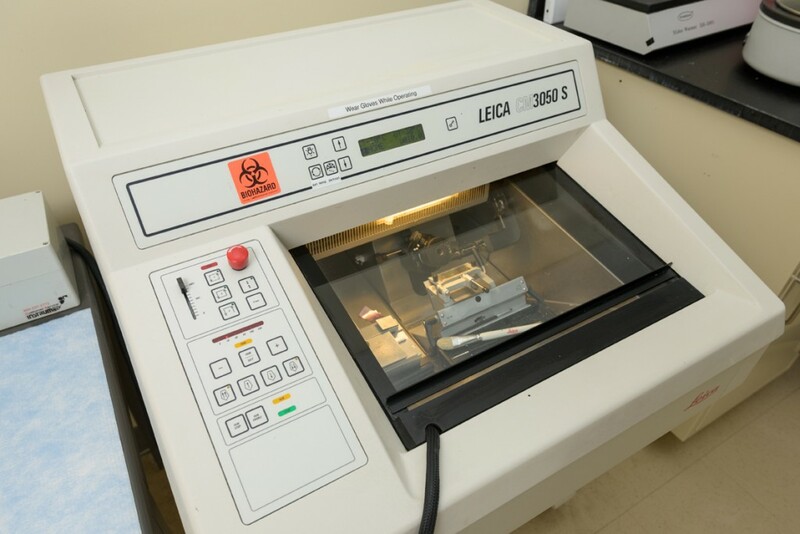 The Leica CM3050 cryostat is used to cut sections of frozen samples embedded in a tissue freezing medium. The system located in DBI is equipped with the CryoJane® Tape-Transfer System for the collection of flat, wrinkle free sections as thin as 2µm that are bonded to an adhesive slide. 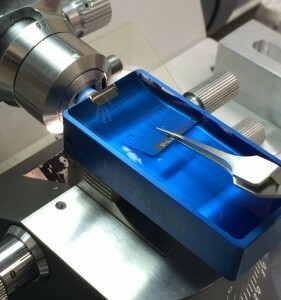 The Reichert-Jung Ultracut E is used to cut ultrathin and semithin sections of resin-embedded samples for electron microscopy. The Micro-Cut H1200 vibrating microtome enables sectioning of fresh or fixed tissue without the need for typical specimen processing and embedding or freezing. The Microm HM 335E is a power assisted, rotary microtome for sectioning of paraffin embedded specimens. 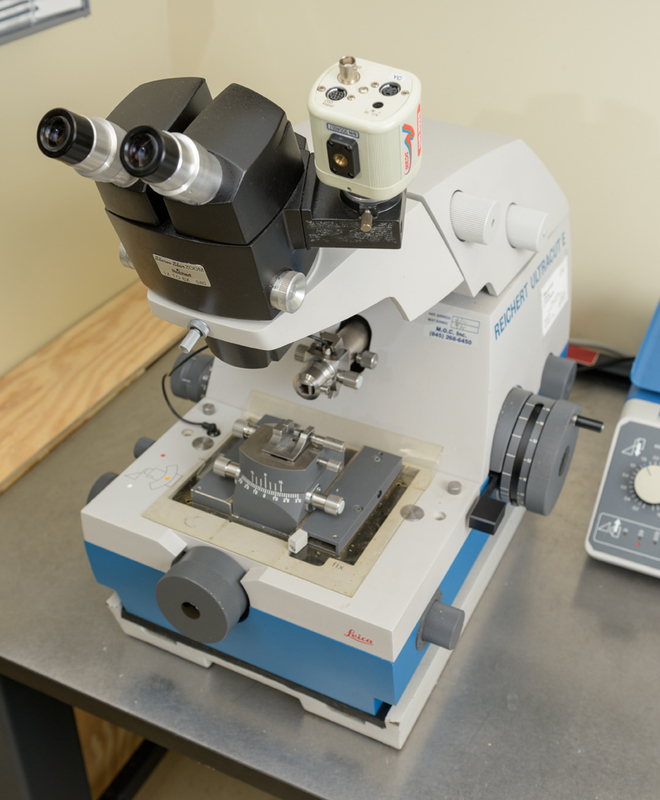 JB-4 rotary microtome is used to section plastic embedded samples for light microscopy.